Description: This is a stunning and highly unusual piece of wall art. 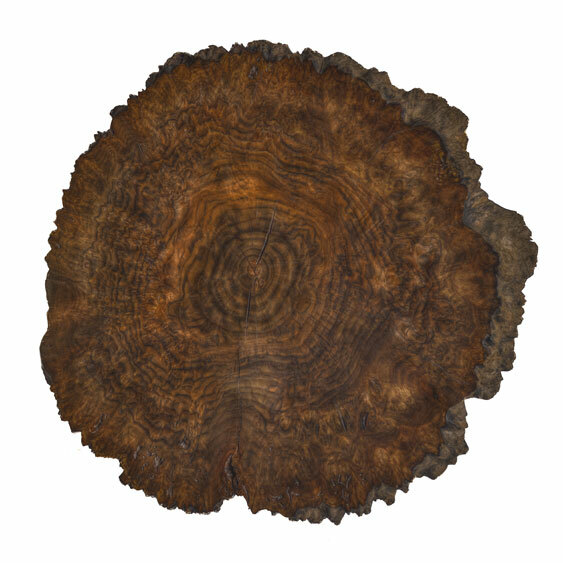 The burl slab was cut from an old Claro Walnut tree in Sacramento, CA that once produced high quality walnuts. These precious trees find a new life in beautiful wood. The raw slab was kiln dried, milled flat, progressively sanded and detailed to accentuate the natural insect holes. The surface is hand-rubbed with Danish oil, polyurethane and micro-crystalline wax to bring out the highly figured burl, depth of color and a satin sheen. A special mounting fixture is securely fastened to the back of the slab for easy mounting. This natural work of art looks fantastic in a den, family room, bedroom or hall. It would also look spectacular in a bar or restaurant.